Manchester United could unveil Alexis Sanchez on Tuesday after a dramatic late-night breakthrough in his transfer saga on Friday according to Spanish Guillem Balague. Sanchez was due to be in the Arsenal squad after Arsene Wenger named 19 players but then got pulled out and said his goodbyes to his team mates after a breakthrough in negotiations. It appears Arsenal forced United’s hand by picking him but he then dropped out after a dramatic late twist. Henrik Mkhitaryan is also set to join Arsenal after saying his goodbyes after training on Friday and was left out of the United squad. It is understood Arsenal and United are ready to do two separate deals to resolve the Sanchez and Mkhitaryan transfer saga. The clubs have been locked in negotiations for days as a straight swap has proved increasingly difficult to agree because of different valuations and contracts. Speaking after Manchester United beat Burnley 1-0 yesterday, Jose Mourinho provided an update. “If you ask me if I think he is coming, I think so, but I have no confirmation. The post Man. 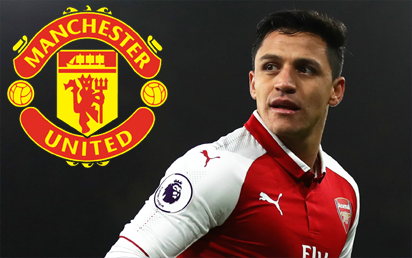 United to unveil Sanchez Tuesday appeared first on Vanguard News.